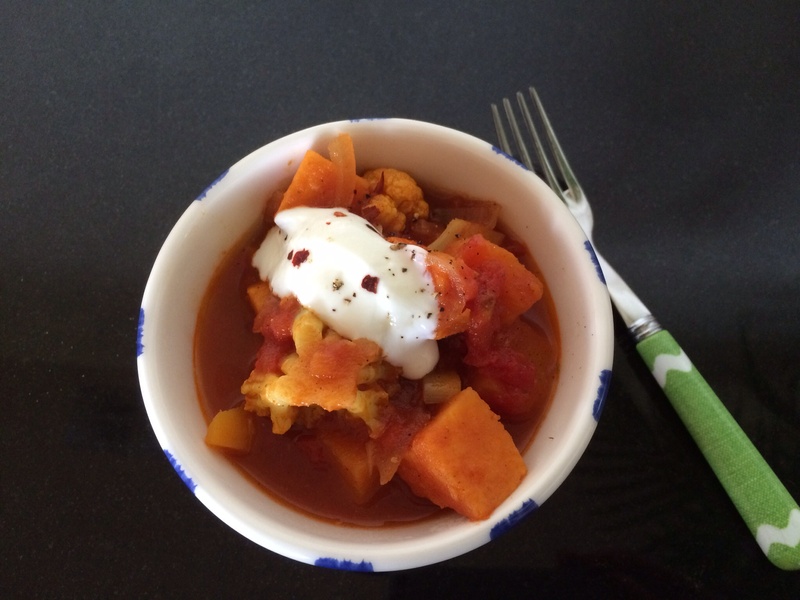 Cauliflower, squash and sweet potato curry. Hot and full of spicy flavour, perfect on it’s own to warm you on a chilly autumn evening, or lovely with steamed fish. If you have any left over, just blend into a soup for tomorrow with a little vegetable stock. This isn’t a ten minute dish to cook, but it’s quick to prepare and will then need to simmer for about 35-40 minutes. So time to make a phone call or put your feet up! My lovely friend Victoria has brought me some fresh kale from her vegetable garden. 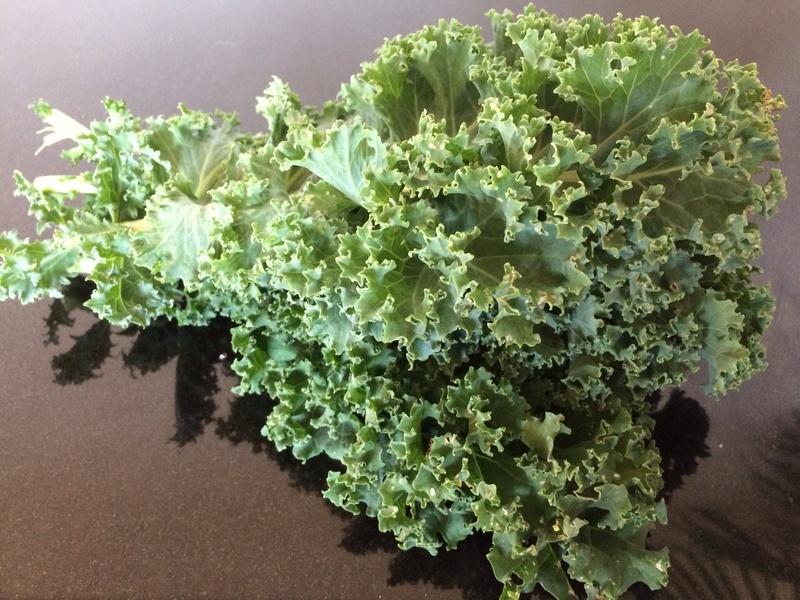 I probably should be juicing it but, feeling naughty, have decided to make kale crisps. And do they disappear! Gone in a flash. Good snacking. Courgette and red onion gratin. 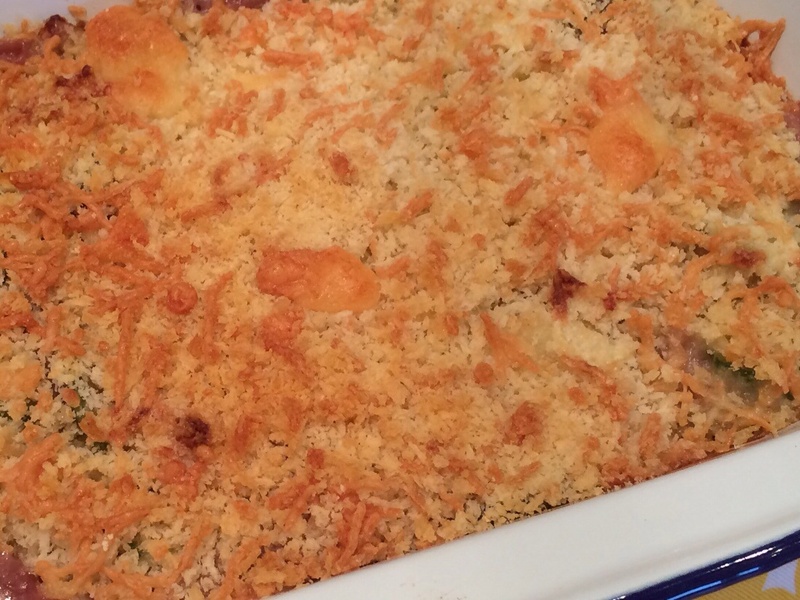 Courgette and onions in a creamy mustard sauce and tasty cheddar and breadcrumb topping. Chilli courgettes with fresh herbs. 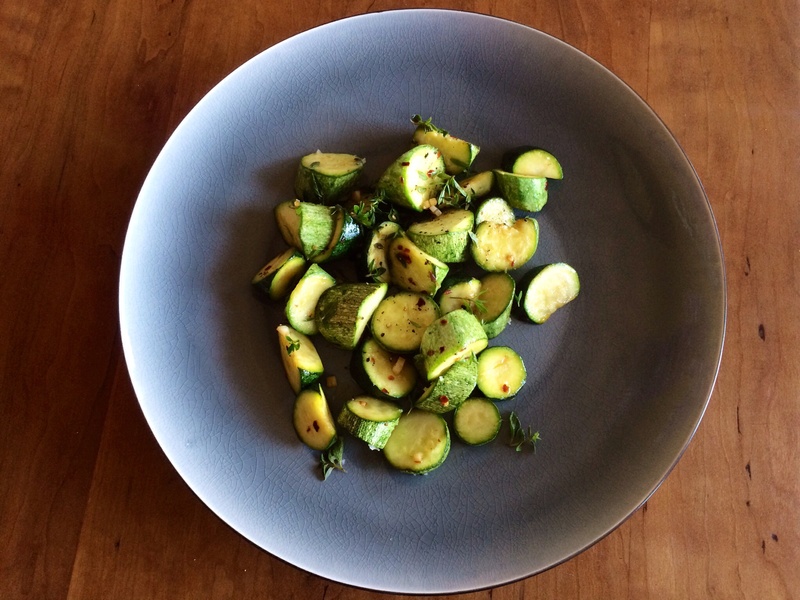 Chilli flavoured courgettes simply pan fried with garlic and lots of herbs. I’ve picked a few courgettes, their skins are so tender when freshly picked. But courgettes prepared in this way will be delicious wherever you find them! I’m using several sprigs of fresh thyme and oregano to give a lovely flavour. 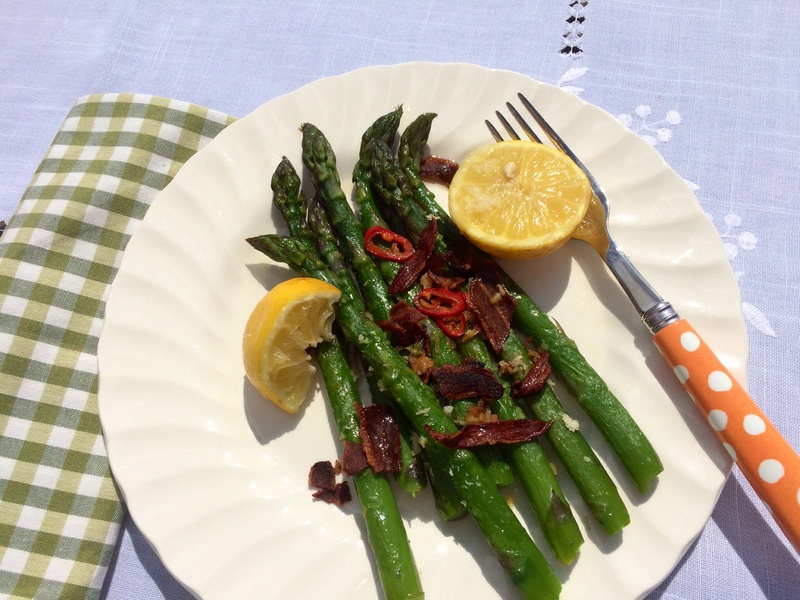 It’s asparagus season – at last, heralding the start of the summer season. 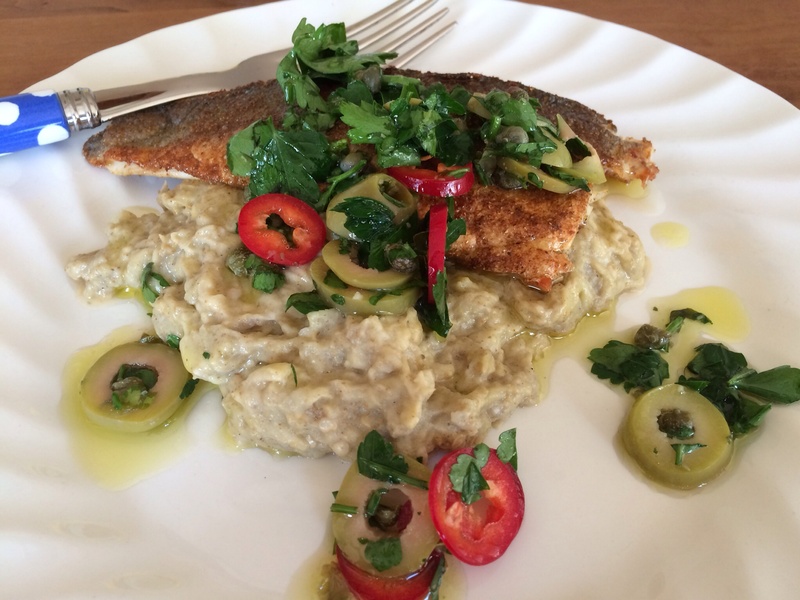 Here’s a quick and delicious dish to enjoy alfresco with a nice glass of wine tonight.